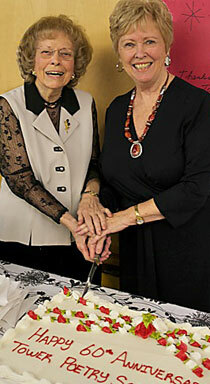 in the ten years since our fiftieth celebration. 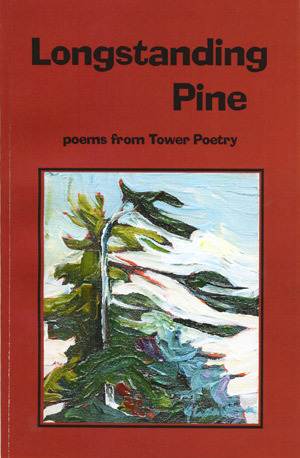 All the poems collected here appeared in Tower Poetry during that time (except for one which saw its first publication on our website). and thereby Tower and its membership." 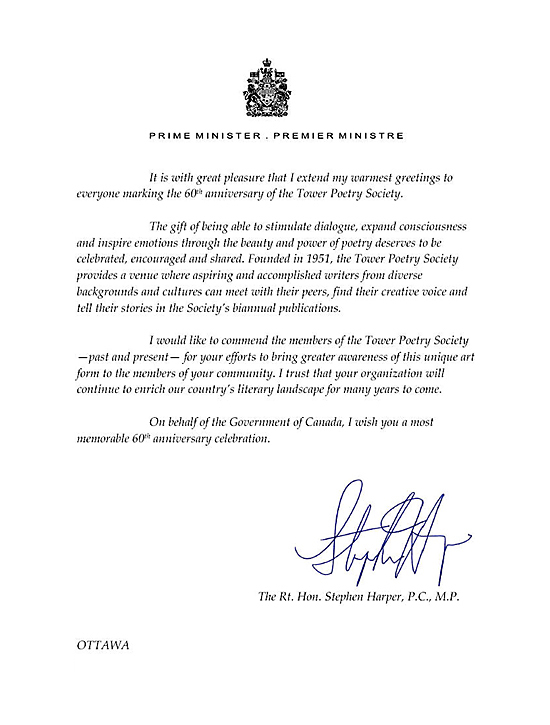 his poem, "Colours of Grey" from the anthology. 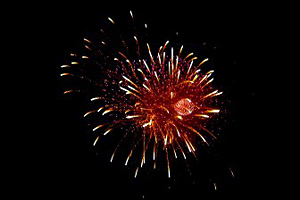 to take part in the Anniversary celebrations. 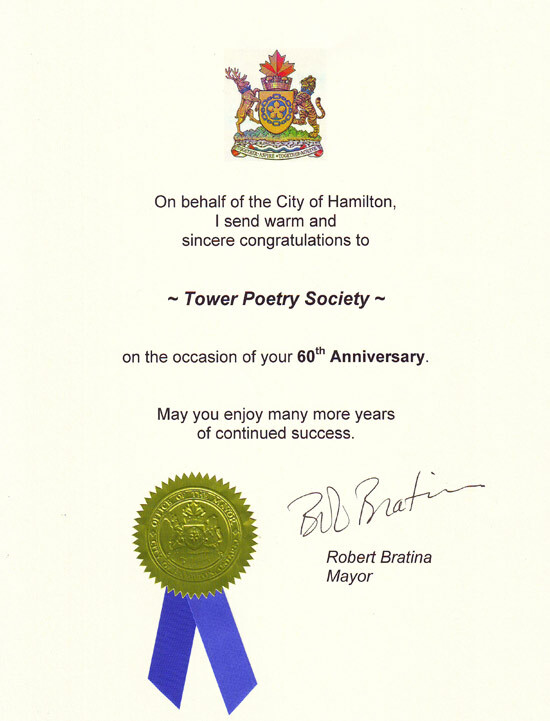 I am thrilled to be President of the Tower Poetry at this auspicious time. It is especially meaningful for me to be honoured this way. As a young girl, I remember my mother going to Tower meetings. In those early days, a handful of people gathered at McMaster University, where the actual Tower was one of the prominent features. Now the Tower Poetry Society has grown and flourished, just as the University has. I am grateful that Tower has carried on so steadfastly all these years, giving poetry a place of prominence in the community. It is heartwarming to know that there is a time and a place, and most importantly, a group of dedicated writers who come together regularly to share their passion for poetry. 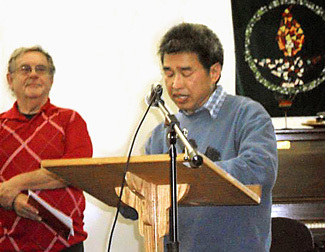 Our GALA CELEBRATION was held on Sunday, OCTOBER 23, 2011. On that occasion we launched a commemorative anthology containing a selection of poems from our published work of the past decade. There were honoured guests, readings from the new anthology, books for sale and live music. We invite you to celebrate with us through the pages of Longstanding Pine.